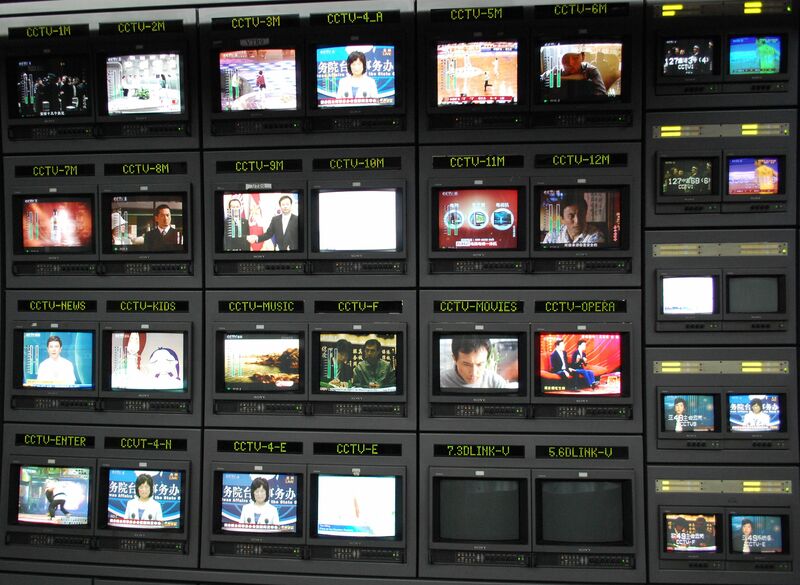 Master control at CCTV in Beijing. Global media is at a tipping point. The western news establishment is reeling as profits collapse and revenue moves to the internet. Only today, Canwest, Canada’s largest newspaper publisher, with twelve daily newspapers, sought bankruptcy protection for its entire newspaper division. Canwest is not the first big newspaper chain to go bust. It won’t be the last. The old international news order, which has been dominated by the west since the invention of the telegraph, is undergoing radical and widespread change, driven by the internet. But what many people maybe don’t realise is that while there’s a crisis in the west, its boom time in Asian media. Already, there may be almost three times as many internet users in Asia as in north America. As literacy grows and fast broadband spreads to even the most remote communities, the gap will grow even wider. Cheap new technology will mean that this new majority will not only be media consumers but also be increasingly sophisticated producers. Which is why I’ve spent the last few days in Singapore. I’ve been attending the Board meeting of AMIC, the Asian centred media research group, which has been investigating and charting these changes. Based in Singapore, AMIC is a truly international organisation with Board members from Malaysia, India, Japan, the Philippines and yours truly from Australia. It was set up with German assistance more than thirty years ago to promote and educate socially responsible media in the interests of development and democracy. Today it runs websites, published scholarly books, organises training workshops and holds an annual conference which bring together academics, practitioners and activists from all over the Asia Pacific. This year, they will be discussing the new wave sweeping through “Technology and Culture: Communication Connectors and Dividers”. AMIC might not have all the answers to what’s going on. But Asia is where the real questions will be asked.